Horizontal trim board under a window stool. A window that project out from the wall and extends to ground level. 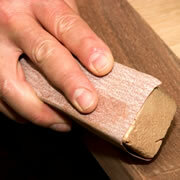 Wood strip against which a swinging sash closes. Bottom horizontal part of a window sash. A rounded bay window extending from a wall in an arc, typically built with five sashes. Window that extends, typically for the display of goods. Fixed oval window, often found on Colonial Revival Houses. Casing: Trim - molding or framing around a window or door. A sash that pivots on pins in the middle of the sash stiles. A large fixed sash with a narrow, often movable, sash on either side. A window in the upper part of a lofty room or ceiling. Windows with small rectangular panes, or divided lites. Two windows that meet at a corner of a building. Two independent windows separated with a mullion. Window in a wall that either projects or is recessed on a sloping roof. A window with two sashes, each closing a different part of the window. A half-circle window over a door or window. Two casement sashes hinged to open in the middle. Typically extend to the floor and servs as a door to a porch or terrace. Inward-opening ash hinged at the bottom. A window with overlapping narrow glass, metal, or wooden louvers, operated with a crank handle for adjusting the louver angles. Vertical members at the side of the window frame. A pane of glass within a window. A form of picture window consisting of several sash or fixed glazings, separated by crossbars or mullions--or both. Awning type window that swings either inwards or outwards at the top or the bottom. A window with small glass windows or lights arranged in various forms, usually only on the upper sash. Framework of stiles and rails in which the lights of a window are set. A window and its cased framing. A fixed often narrow glass window next to a door opening or window opening. Window similar to double-hung window, except the top sash is stationary. Window frame made from a single piece of lumber. Window unit set at an angle in a wall. Combined grouping of awning, hopper, casement, or non-operative windows to form a large glazed unit. Special heat-treated, high-strength safety glass which shatters into pebble-sized particles and not in slivers. An awning window pivoted at the top and with the bottom swinging-in. Window sash located above a door. One or more sash that move in a vertical direction.